Sam De Jong recently traveled to Asilong in the Pokot region of Kenya to continue to oversee and guide the construction of the secondary school buildings there, which are primarily funded by Jacob’s Well and built by Kenyans. Check out his series of photos that show how construction is going in the bush of Kenya. All photos courtesy Sam De Jong. Local brickmakers and local leaders meeting together to organize their plans. Building bricks is a new source of local business income for locals as the secondary school is constructed. The first classroom building, which was completed last year, will open with its first Freshman class in early 2016 once the new building – teacher housing – is complete. The building was designed by JW architects and constructed by Kenyan workers. The interior of the classroom building includes many special elements, including a thatched bamboo ceiling. Large rural structures all have tin roofs, which become extremely noisy when it rains – common several months out of the year. The bamboo ceiling will serve as a noise-proofer, allowing class to continue as normal even in a downpour. It looks good, too! For the new building currently under construction, Jacob’s Well has contracted with Kennedy Matini to head up construction. Kennedy is from nearby Kitale and has assisted in construction on previous projects. He is an incredible person who is a huge asset to the project. Edward Simiyu (left) was Jacob’s Wells original connection to the Pokot region and continues to be our foremost leader in the project. Julius Sawe (right) resides in Asilong and is our greatest connection to the local people. Both are incredible servants to Jacob’s Well and the Pokot. Sam spent several days in nearby town Kitale having doors and windows at the local “Jua Kali” metal worker. With some tips from Sam on making quality products, the metal worker in Kitale proclaimed that with his new style of door-making, he would have one of the most quality products around. The beginnings of construction on the new building, which will serve as a Ministry Center and teacher housing for teachers coming from other regions to live and work in Asilong. A digital rendering of what the new building will look like upon completion. One of Sam’s favorite past times is now showing locals these renderings. Their surprise upon seeing themselves or someone they know standing in front of a building that doesn’t exist is priceless. Pokot women were hired to create beautiful doors for the building in keeping with the style of the grain huts that women design on a regular basis. The women were ecstatic to participate in the project and have their art and creativity appreciated. Those windows look incredible. I am so hype for the new buildings. Fascinating stuff. I really enjoyed reading this. Many thanks for sharing. 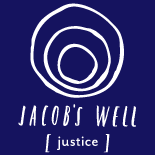 This entry was posted on November 14, 2015 by jwjustice in Africa, Agriculture, Aid, Education, International, Kansas City, Kenya, News, Photography and tagged Asilong, BNIM, education, Jacob's Well, Kenya, Pokot, school.